Iowa farmland values have dropped four of the last five years in the Iowa State University survey — but some farmland owners are still optimistic that will change in the new year. 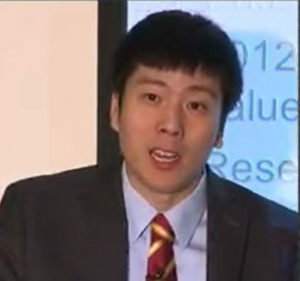 Iowa State University economist Wendong Zhang conducts the annual survey. He says one third of those in the survey expect a modest decline, while 15 percent see no change. “So roughly half are in the camp of a modest decline or no change — half (expect) an increase.” The optimism about the land values extends beyond this year. “Five years from now a vast majority of people are thinking the land value will be higher than the current level,” he says. Zhang takes a more guarded approach in predicting what might happen. “I think I’m probably a little more pessimistic than the average respondents. In general I see a stabilizing land market. I probably wouldn’t expect a significant increase in the land market — at least in the immediate future,” Zhang says. The limited amount of land available was the top factor cited on the price of land by those in the survey. Zhang doesn’t expect the number of sales to increase. “In general yes we’ll see more transition, but I don’t think that you will see a large influx at the same time. What you see this year, there is a 22% increase in the number of auctions across the state,” Zhang says, “remember that 2017 is really, really low in terms of sales.” The majority of farmland sales — 72% — were to existing farmers and that included 69% of the sales to local farmers and only three percent were to existing relocating farmers. He doesn’t expect things to change much in 2019. The majority of farmland sales, 52%, were from estate sales, followed by retired farmers at 23%. Active farmers account for 15% of sales, while investors accounted for eight percent.